Remember our post on our homemade creation? Click here to read about it if you haven't! 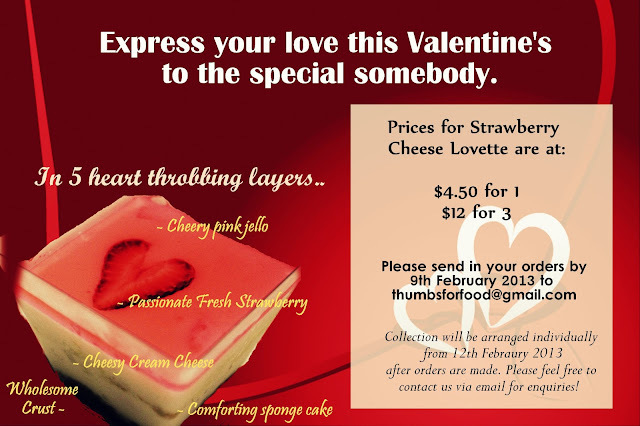 Yes, we are accepting orders to our dear readers this Valentine's day. Spread your love through this heartwarming dessert that will translate your deepest feelings to the ones you cherish the most. :) Details are as below. Here's wishing you an early Happy Chinese New Year!